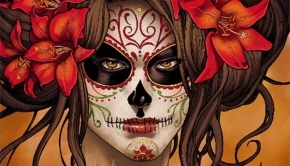 Are you new to La Muerta? Do you just need a refresher? 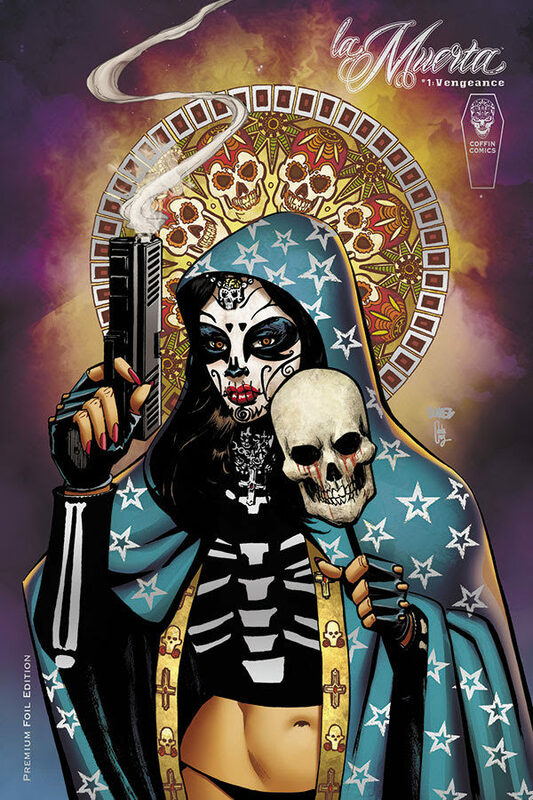 Here’s your chance to make sure your reading Coffin Comics La Muerta in the correct order and to fill any of those holes! Below are some of the different La Muerta Editions we currently sell at www.LadyDeathStore.com! Present day. Maria Diaz, a US soldier, returns from Afghanistan to be reunited with her family on the Mexican holiday, Dia de los Muertos. But her brother has fallen in with The Zavalas, a death-worshipping crime cartel led by the nefarious Mama Z. When they see the family celebrating, they believe they’ve been ripped off by them. The entire family is murdered in cold blood. Maria wakes out of a coma Eight months later to find her family dead and gone. She seeks justice and finds none. Daring the impossible, Maria decides to avenge her family and send the Zavala’s to hell. Can one woman defeat an entire crime cartel and what will be the cost to her humanity? 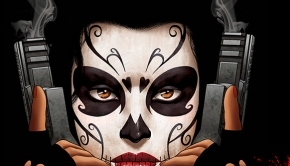 Maria Diaz has adopted the guise of “La Muerta” in an effort to dismantle the Zavalas, a kill crazy, occult-obsessed crime cartel that murdered her family in cold blood. 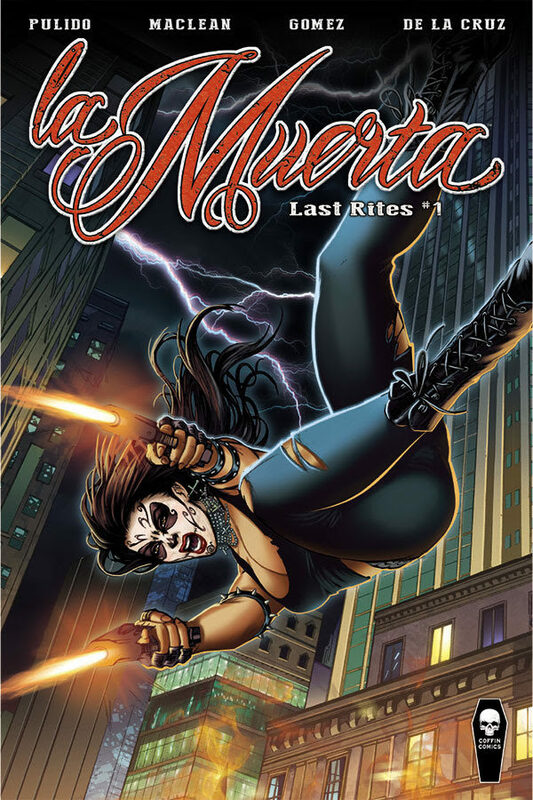 In this epic conclusion to La Muerta’s origin, Maria’s crusade to avenge her family appears impossible as the nefarious Mama Z tightens her grip on the city. Can one woman defeat an entire crime cult? What will be the cost to her fragile humanity? Also: La Muerta vs. Mama Z, the final confrontation! Count on plenty of bullets and blood. 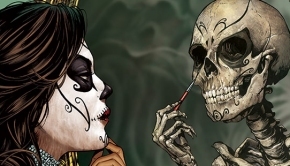 Once more, Santa Muerte, the Saint of Death, calls upon Maria Diaz to be an instrument of vengeance. And again Maria heeds the call, donning the guise of La Muerta. 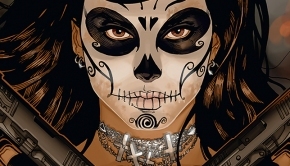 Seeking justice for a murdered child, La Muerta narrowly escapes death at the hands of a supernatural evil-the legendary La Llorona. 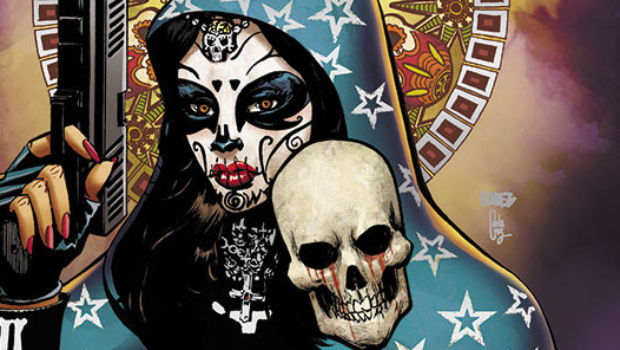 But La Muerta’s victory is short-lived. Her defiance has enraged a ruthless, criminal mastermind known as Brujo. Practicing the darkest of magic, Brujo will stop at nothing to accomplish his nefarious plans. Now, only La Muerta and the luchador vigilante Loco can challenge the crime boss’ brutality. 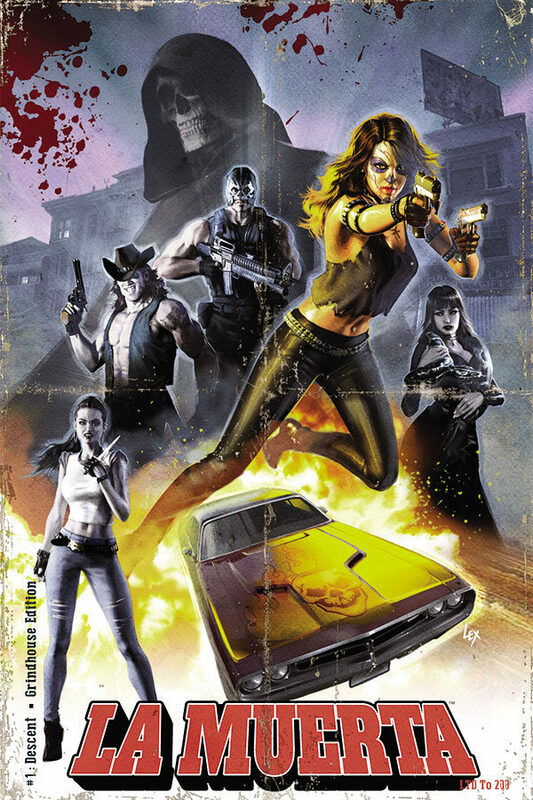 How can La Muerta fight an enemy she can’t kill and what terrible price will she pay for the sake of retribution? Chapter 5 – Retribution #2 (of 2) – Coming Soon to Kickstarter!